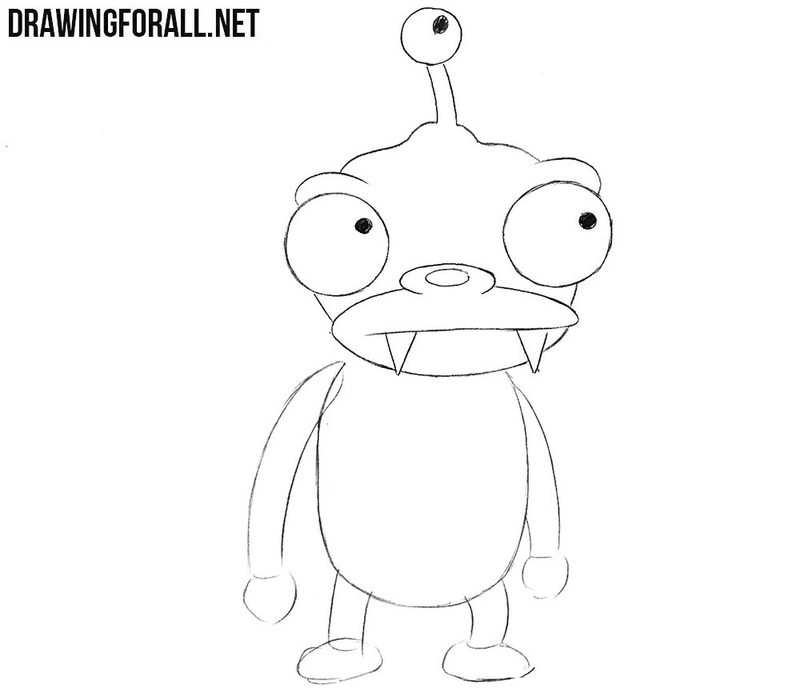 Not so long ago we showed you how to draw a strange creature from Futurama – a brain slug. 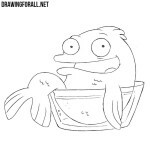 Today we will draw another strange creature from this series. 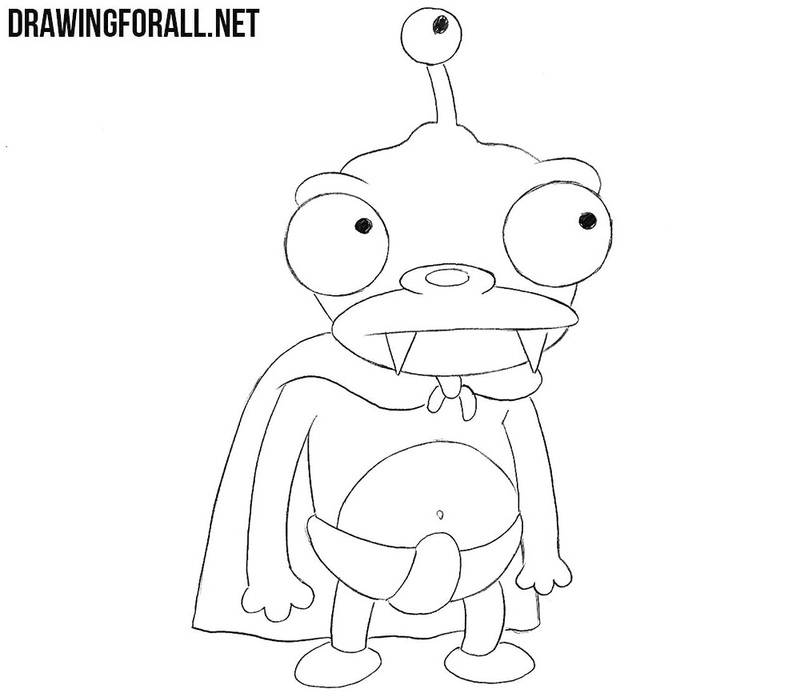 But the lesson about how to draw Lord Nibbler will be a little more complicated and interesting. 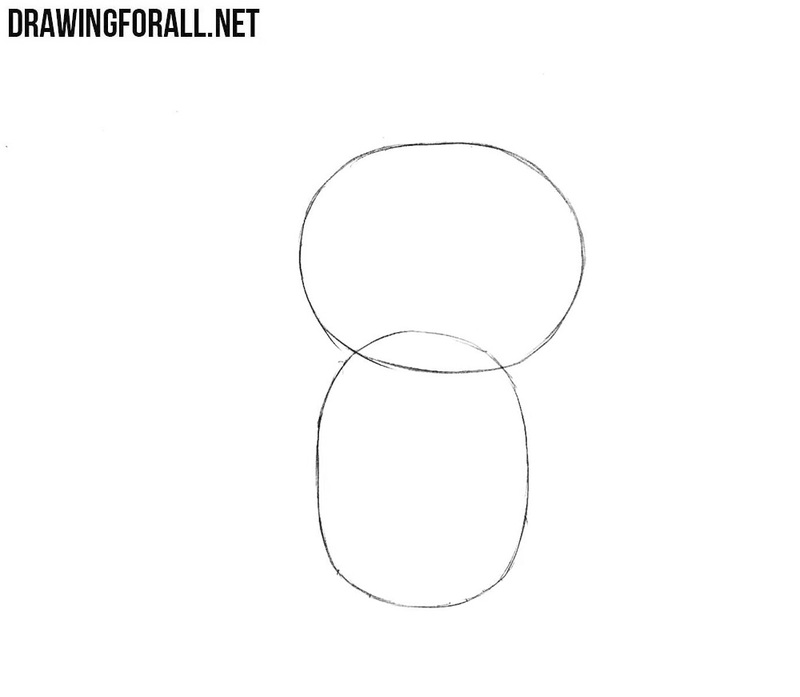 First of all draw a horizontal oval for the head. Next sketch another oval for the torso. Now draw long arms and disproportionately short legs of the Lord Nibbler. 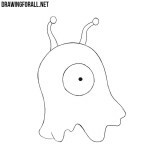 Using two circles, draw eyes with pupils in the form of dots on the sides of the head. 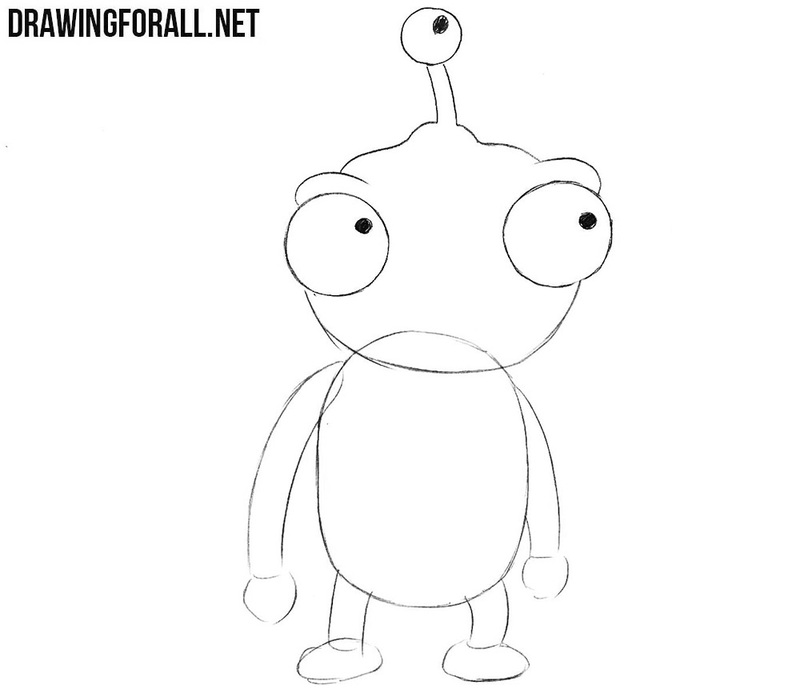 Move to the top of the head and draw the third eye and the upper surface of the head. Now draw a muzzle with a single nostril and two short protruding fangs. Here we go to the clothes of our funny character and draw a cape. Let’s now proceed to the torso. 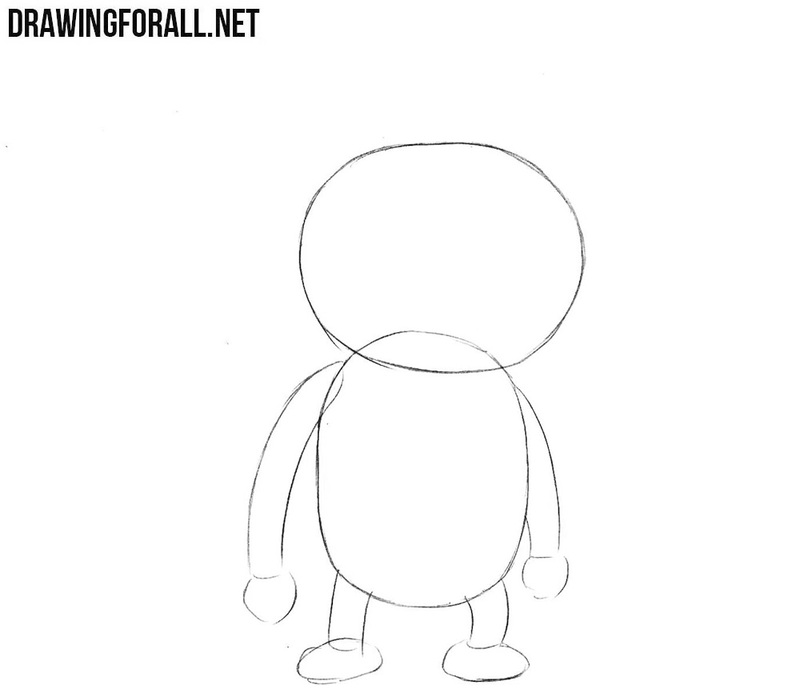 Now we need to draw out the upper part of the body and arms. Draw a curved line on the abdomen and the navel. Here we will draw a diaper on our all-powerful Lord and his legs. 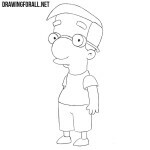 Notice that the legs are drawn very simply, in fact they are some very simple lines. 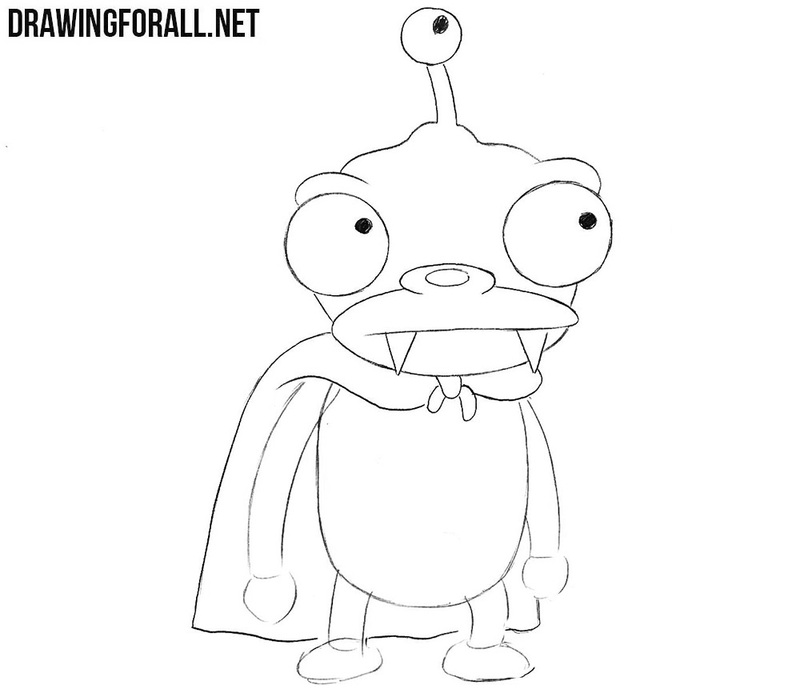 It was a very simple lesson (certainly not as simple as the above-mentioned lesson on the brain slug) about how to draw Lord Nibbler. 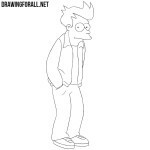 In the future, we plan to create many more other lessons about the characters from Futurama. 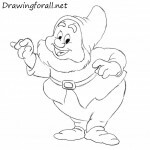 Write who else would you like to learn to draw, and we will create a drawing tutorial about this character.